Please join us on Monday November 20th 2017 from 6-9pm at Mellow Mushroom in Fort Lauderdale. Honorable Judge John P. Contini will be signing his true crime novel and donating 100% directly to the smart ride. Mingle with "the smart ride" black tie optional, cocktail chic / sassy is fine. Guests will enjoy a complimentary cocktail and hors d'oeuvres. Bring business cards and please invite friends! Luxury Chamber of Commerce serves those—ALL those—who seek the finest South Florida has to offer. 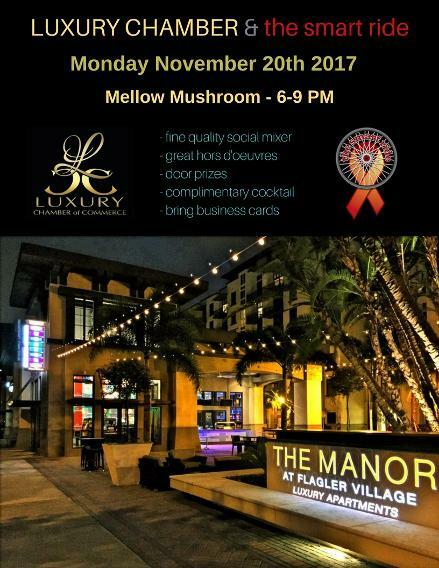 In conjunction with SMARTride AIDS outreach, we Launch the Lauderdale Luxury Season this Monday, November 20, at Mellow Mushroom.